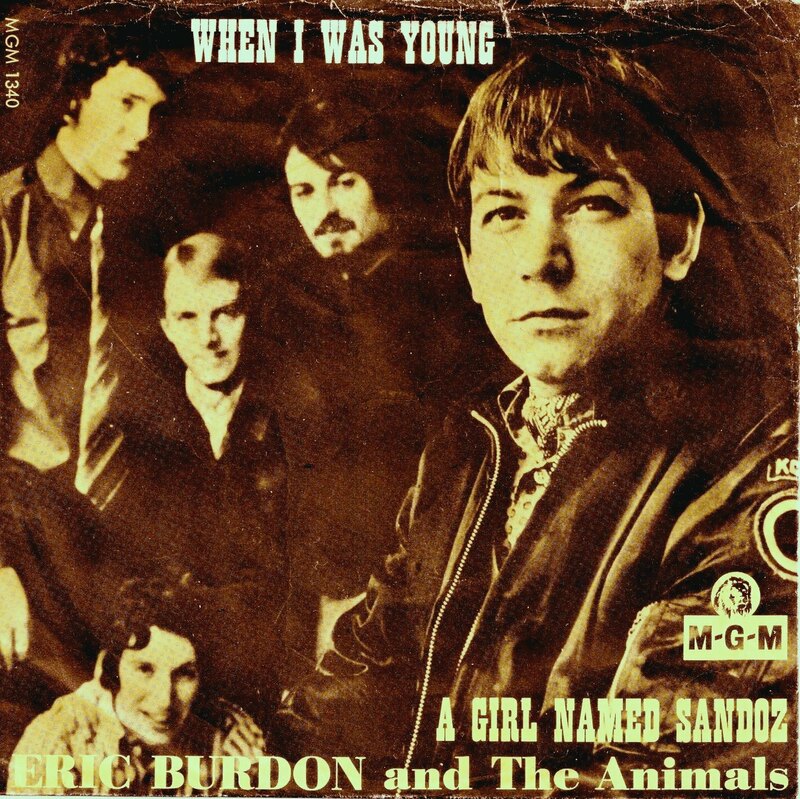 ERIC BURDON & THE ANIMALS — A GIRL NAMED SANDOZ – IS YOUR CLAM IN A JAM? In 1966 the classic Animals formation, which heralded the British Invasion thanks to mega-hit The House of The Rising Sun, split after having been screwed over by their management. Chas Chandler went on to manage Jimi Hendrix, Hilton Valentine made a fantastic solo album in 1969, and Eric Burdon recruited new members and moved the band to California. Finding himself in the epicenter of the counter-cultural revolution California was going through in those years, he shifted the band’s sound towards harder, more psychedelic territory. What followed was a string of some of the Animals’ most interesting songs, each describing a theme of the revolution that was taking place at the time. A Girl Named Sandoz, B-Side to When I Was Young, is an ode to a chemical that would change many lives around the world, discovered by Albert Hofmann while working at the Sandoz Laboratories in Basel, Switzerland in the 1940s. A Girl Named Sandoz is a hot, sunny morning in which you get up to take a walk outside and make your way to a park, the summer sun is licking your skin while snow lays on the ground all around you. You walk up to a hill and sit under a tree. You look up and finally begin to understand the correlation between the sky and the plants. Colors around you start to change into sounds when someone walks towards you and hands you a smile, that redefines your new understandings and your minds fly away together on purple gossamer wings into the green evening sky. Good Times. For All Times. Sandoz.